1.) Is it a good time to talk? You don’t want to bring up a sensitive subject in front of their friends, or perhaps even in front of another sibling. It’s usually better to wait – no matter how badly you want to bring it up – until later when you can talk privately. 2.) Respect. I’m a fan of giving kids & teens respect. I give my children respect because I want to model respect to and for them. Recently, when one child was treating me disrespectfully, I was able to say “Have I ever treated you the way you are treating me right now?” My teen answered “no.” I said “Then please don’t treat me this way.” My teen’s response “Ok. I’m sorry.” And we were done. The attitude was resolved in less than one minute and we got to the real issue. 3.) Listen. Yes, we parents have been there and done that. We have great life experiences and great advice to give our teens. The thing they want most is for us to listen. Listening allows them to get things off their chest, lets them know we care, and you might open the door to things you didn’t know your teen was grappling with. You’re more likely to open that door by listening versus lecturing. 4.) Limit lectures. I can lecture as well as a college professor to my kids in my own home. But, my teens really need to begin to learn and sort things out more and more on their own. Of course, when important, there will be the occasional lecture. We are training soon-to-be adults and they need to take increased control over their thoughts and actions as they learn to become adults and learn from their own successes and failures. 5.) Trust. Allowing our teens increased control over their own lives means trusting them. We’ve been teaching them since they were babies. They have learned more than our words and actions convey. Teen years means parents learning to trust that what they have taught their children is good, enough, and let go. I used to give a talk to parents whose son or daughter were about to begin their Freshman year called “Letting Go.” Letting go actually begins much sooner than the first semester of college. I’m starting to let go now. Please feel free to share and reproduce this blog post as long as the author’s name and information remains intact. 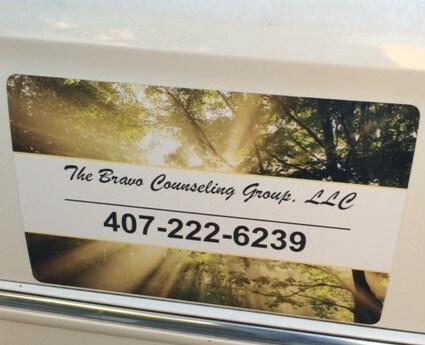 ~ Laura Peddie-Bravo is a Licensed Mental Health Counselor in the State of Florida, a Nationally Certified Counselor, and has worked with teens and college age population since 1997. She has been happily married since 1996 and is the parent of three teenagers. She owns a private practice in Winter Park, Florida called The Bravo Counseling Group, LLC. To schedule an appointment or to arrange a complimentary 15 minute phone call, please call the office at 407-222-6239.